Chess has been a renowned ancient indoor game to most people. Having originated from India,this game has spread across Persia to the rest of the world, drawing so many tournaments. This factor has lured various commissioning bodies to revolutionize the entire gaming system. Presently, the chasing equipment have been modified to a splendid look, which earns them a remarkable price in the indoor gaming arena. 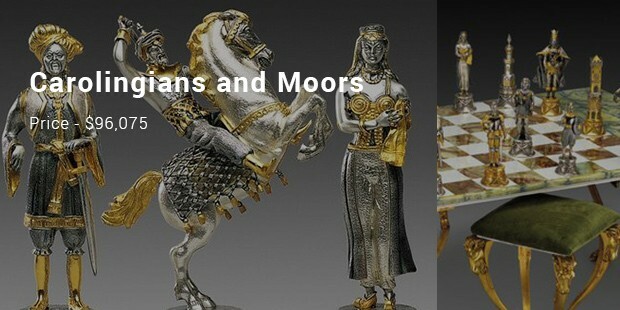 Some of these world chess set have continued to attract immense amount of money, being ranked depending on the artist creativity, the nature and weight of stones used by their various manufactures. 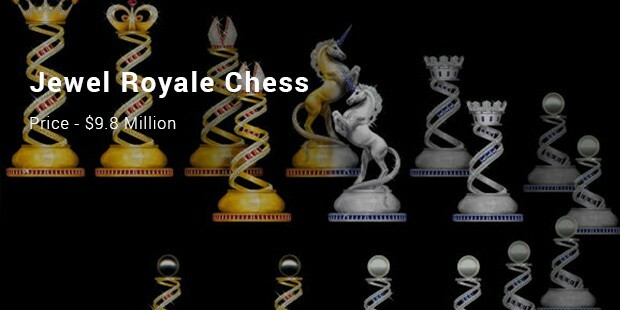 This set is the most expensive chess set ever commissioned by Jewel Royale in Great Britain. This set is selling at 9.8 million dollars, made out of pure solid gold and platinum. Various valuable stones have also been blended within its features including the diamond, rubies, sapphires, emerald and some white and black pearl. To complement its price, narrowing down to the king piece alone will attest how the 147 diamond and 73 rubies bejeweled in 165.3 grams of 18 carats gold are set to pronounce its value. 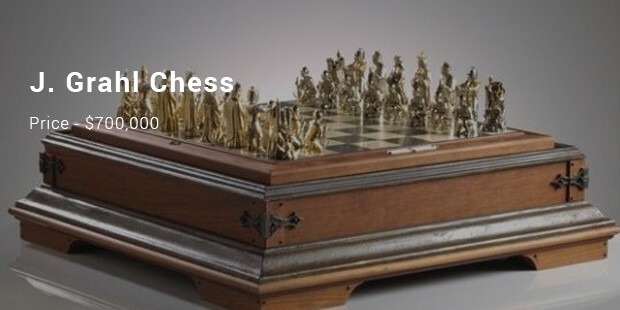 This Victor Scharstein’s chess set is a magnum opus selling at 750,000 dollars. In making it an enduring classic design, this set is decked out of pure pieces of gold and rhodium. Its patterns studded with valuable pieces of sapphires, rubies, diamond and emerald. The checker board depicts an excellently done piece of expensive gold and rhodium jewelry, towering on golden legs. 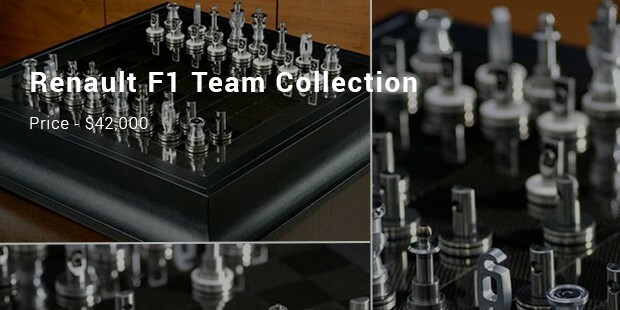 Definitely, with such a price tag this chess set exude elegance and magnificence in style. Having being intended for the Cole family back in 1970s, this chess set currently sells at 700,000 dollars. 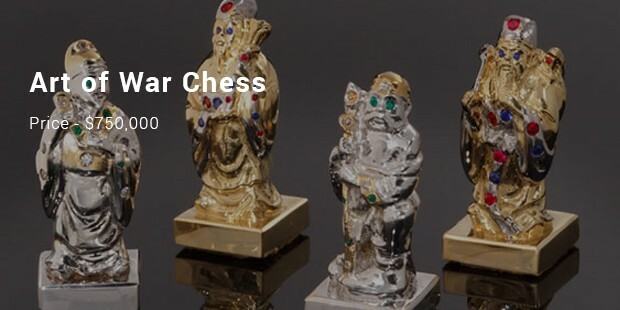 J. Grahl’s chess set is made out of a 14 carat solid gold, with a pleasingly done silver body. The silver used for its ornamentation weighs to about a pound of the total chess set. Unique of this set that dictates of its prizing in the market, is in the manner to which it is fashioned to resemble medieval style. 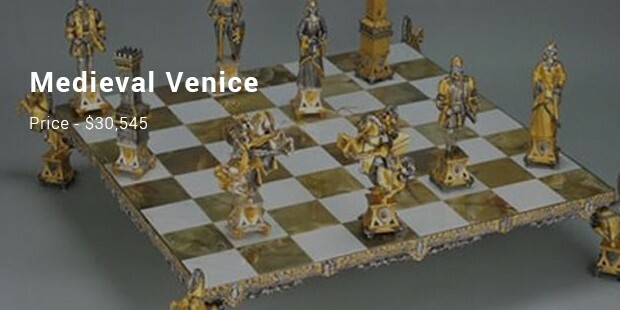 The high cost chess uses many precious metals for its structure as a whole. Every chess piece is made by Piero Benzoni. Every piece is bronze mixed with 24K gold and silver. Every chess piece is around a foot tall. Consisting of 32 pieces of finely done ornaments, playing chess is evolving to being one of the wealthy indoor games in the history. 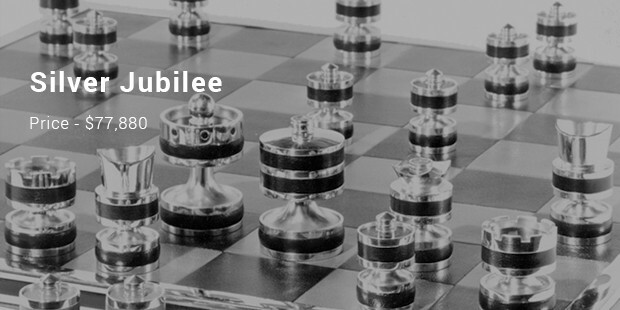 As the price fluctuate, depending on the worth of stones used in curving, the originality and inspiration that is prevailing through their expensive creation is making acquisition of this fine pieces of chess set, a prestigious show of the worth of this game.